The young man had lost his job and didn't know which way to turn. So he went to see the old preacher. Pacing about the preacher's study, the young man ranted about his problem. Finally he clenched his fist and shouted, "I've begged God to say something to help me. Tell me, Preacher, why doesn't God answer?" The old preacher, who sat across the room, spoke something in reply -- something so hushed it was indistinguishable. The young man stepped across the room. "What did you say?" he asked. The preacher repeated himself, but again in a tone as soft as a whisper. So the young man moved closer until he was leaning on the preacher's chair. "Sorry," he said. "I still didn't hear you." With their heads bent together, the old preacher spoke once more. "God sometimes whispers," he said, "so we will move closer to hear Him." This time the young man heard and he understood. We all want God's voice to thunder through the air with the answer to our problem. But God's is the still, small voice. . . the gentle whisper. Perhaps there's a reason. Nothing draws human focus quite like a whisper. God's whisper means I must stop my ranting and move close to Him, until my head is bent together with His. And then, as I listen, I will find my answer. Better still, I find myself closer to God. In times of trouble and pain, we need to come to our Heavenly Father in prayer both for the answer and also to show the Lord our trust in Him. There is nothing impossible with the Lord. He is the answer and through Him shall all of our troubles cease. I encourage you to call upon the Lord today and speak to God not as a superficial being but speak to the Lord as a friend. He knows you better than you know yourself. Dear Lord, we thank You for knowing us and knowing what is best for us. 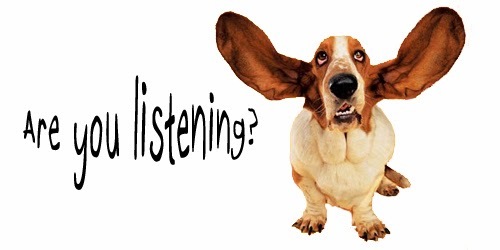 Help us to always listen for Your whisper. In Jesus’ Name, Amen. As much as we love them, children -- or little brothers and sisters -- can sometimes make demands that are hard to handle. There was one smart teenager, who was tired of reading bedtime stories to his little sister every night. He was quite pleased with himself when he came up with the idea of recording several of her favorite stories on tape. He told her, "Now you can hear your stories anytime you want. Don't you think that's a great idea?" His bubble was deflated when his sister looked at the machine for a moment and replied, "But I want to hear my stories from somebody that has a lap. The machine doesn't have a lap." When we talk about God, we often think of Him in terms of being all powerful or all knowing. We sometimes forget that even though God is a Spirit, He has a lap. He is ready to personally listen to us anytime we wish. In fact, He is far more ready to listen to us than we are to talk to Him. Unlike the brother in the story, God doesn't get tired of listening to the prayers of His people. He doesn't get weary of talking to us in His Word. Indeed, because of His Son who has saved us, He is always there to touch our lives and to assure us He cares. He has a lap. I think we'll need to crawl up there and talk to Him a number of times today. Dear Lord, thank You for always hearing us. Whether we come to You in tears or smiles, we know Your arms are always open to embrace us. In Jesus' Name, Amen. 11 The Lord said, “Go out and stand on the mountain in the presence of the Lord, for the Lord is about to pass by.” Then a great and powerful wind tore the mountains apart and shattered the rocks before the Lord, but the Lord was not in the wind. After the wind there was an earthquake, but the Lord was not in the earthquake. 12 After the earthquake came a fire, but the Lord was not in the fire. And after the fire came a gentle whisper. Back when the telegraph was the fastest method of long-distance communication, a young man applied for a job as a Morse Code operator. Answering an ad in the newspaper, he went to the office address that was listed. When he arrived, he entered a large, busy office filled with noise and clatter, including the sound of the telegraph in the background. A sign on the receptionist's counter instructed job applicants to fill out a form and wait until they were summoned to enter the inner office. The young man filled out his form and sat down with the seven other applicants in the waiting area. After a few minutes, the young man stood up, crossed the room to the door of the inner office, and walked right in. Naturally the other applicants perked up, wondering what was going on. They muttered among themselves that they hadn't heard any summons yet. They assumed that the young man who went into the office made a mistake and would be disqualified. Within a few minutes, however, the employer escorted the young man out of the office and said to the other applicants, "Gentlemen, thank you very much for coming, but the job has just been filled." The other applicants began grumbling to each other, and one spoke up saying, "Wait a minute, I don't understand. He was the last to come in, and we never even got a chance to be interviewed. Yet he got the job. That's not fair!" The employer said, "I'm sorry, but the last several minutes while you've been sitting here, the telegraph has been ticking out the following message in Morse Code: 'If you understand this message, then come right in. The job is yours.' None of you heard it or understood it. This young man did. The job is his." We are so busy living in a world that is full of noise and clatter, like that office. People are distracted and unable to hear the still, small voice of God as He speaks in creation, in the Scriptures, and in the life and work of Jesus Christ. So we must ask ourselves, Are we listening, or are we waiting to be called? Do you hear the Lord when he speaks to you? 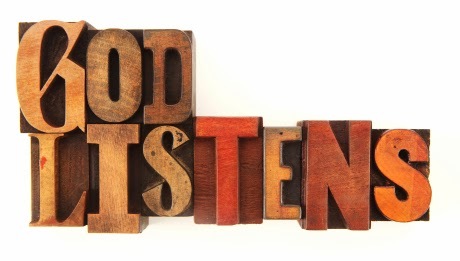 Dear Lord, Help us to listen for You and not just wait. We want to hear You today. In Jesus’ Name, Amen. "The stresses and worries in life are like that glass of water. Think about them for a while and nothing happens. Think about them a bit longer and they begin to hurt. And if you think about them all day long, you will feel paralyzed – incapable of doing anything." It’s important to remember to let go of your stresses. As early … as you can, put all your burdens down. Don't carry them through the evening and into the night. Remember to put the glass down! Dear Lord, help us turn our stresses over to you. Help to put down the glass down and not try and hold on to. In Jesus’ Name, Amen. Where Did You Put A Light? Years ago, after completing high school, a Christian girl managed to break into the work force. The first day of work showed her she was hardly ready to deal with the things the "real world" was going to direct her way. The lurid language of her fellow employees, the ungentle jokes of her boss as well as the cruel comments made by almost everyone shocked her. Shaken, she returned home and told her parents she wasn't going back. Before she had finished sharing her lament, her father interrupted. It was something he seldom did. Dad asked, "Honey, where do you put a light?" She stumbled in her one-person rant, thought for a second, and then decided to ignore what her father had asked. She continued to tell her parents about what she had endured. Her topic-changing father asked again: "Where do you put a light?" Exasperated, she replied, "Dad, what does that question have to do with what I'm saying? What do you mean? You put a light where it's dark." Making use of the break in his daughter's litany of offenses she had endured, he quickly continued: "Honey, the Lord has put you into a place where you, a Christian, are being given the opportunity to reflect the light of Jesus. You are to shine His light into a dark place. Go to work tomorrow, and let His light be shown and shared with those folks in the darkness, so they can see Jesus. Your mother and I shall pray that their darkness will not undermine you or cause your witness of faith to flicker." Unlike the weak and wimpy dads who are shown on TV, real Christian fathers have wisdom, insight, and a spirit of encouragement. For example, this father knew Job was right when he had said evil and darkness come and a man's life can be turned upside down by the cruelty of a sinful world. But this Christian father also knew these things do not have the final word. Jesus does. That's the fact he shared with his daughter. Then this particular father went one step further: he practiced what he was preaching; He reflected the light of the Savior into the darkness his daughter had encountered. To counter and conquer the evil, the sin, the circumstance, we have been given a Savior. His perfect life, His innocent death, His victorious resurrection bring light and hope to defeat darkness and discouragement. Each and every day we are being given the opportunity to reflect the light of Jesus. Lets show that light today. Dear Lord, life can give us a fair share of nastiness. Enough of that stuff long enough can make things pretty dark. Give us the grace to see and walk in the light. In Jesus’ Name. Amen. One thing they forgot is that the weather on top of Mount Washington is quite erratic. It can be sunny one moment, and the next it can be undergoing a heavy storm. 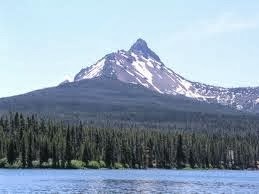 Snowstorms can hit this mountain every month of the year, with an average of 311 inches of snow per year! Mount Washington also has the world record of the highest wind speed: 231 mph, and fog is also a regular visitor. The next morning, after the fog lifted, the survivors realized that if they had persisted through the storm for just a few more feet (less than a 100! ), they would have reached the summit, as well as a simple, accommodating hotel located there. Too often we go through life as ill-prepared as this climbing expedition. The storms of life hit us unexpectantly and we cower in our own little corner, completely unprepared. We can still do something about our situation. It's not too late. May we start by getting to know the One who lives in us and sharing Him with those around us. Let His shine through us beyond the dark to a world that needs it. Dear Lord, we pray today that we would let Your life shine through us in this dark world. Help us not let the things around us hinder us from sharing Your light. In Jesus’ Name, Amen. The city of Muscat, in the Sultanate of Muscat and Oman, still looks like a biblical place. On the east side is the Gulf of Oman, and in all other directions is the vast Arabian Desert. The whole city is surrounded by a very big wall. The only place where one could enter was through the main gate. The wall was about 12 to 15 feet wide at that point. There were wooden benches built into the side of the gate and a number of older men would sit there and discuss matters of importance during the day. The gate had a solid wooden door in it and within that door was a smaller door, called the Judas Gate. The big door would be opened at seven o'clock in the morning and be closed again at seven in the evening. A story is told by a man that lived near the city. “On a regular basis, I would go in to Muscat from the camp in the desert where I lived, to go to the bank or to do some other business. I had to leave my vehicle in the parking lot outside the gate and walk the narrow streets and lanes to wherever I had to go. One time, I was invited to the oil company executive's residence inside the wall for a social evening of some kind. I parked my vehicle in the parking lot and walked to this person's residence. At 7:00 p.m., the gate was locked as usual, and when it was time for me to leave, my host called a servant to lead me through the gate to the parking lot. It was very dark, so he was carrying an oil lantern, and thus led the way to the gate, through the little door, and on into the parking area. That the way it is with God's Word? 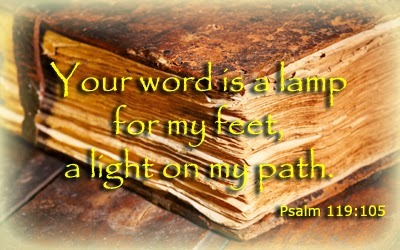 As we walk down life's pathway, His Word does indeed light our path. Sometimes, we walk in the darkness of ill health or sorrow, and we will be guided by the light of God's Word to a place of comfort or understanding or patience. There are times when we stumble along life's pathway trying to cope with some problem or other, and God's Word gives us insight as to what to do. God's Word is indeed a lamp to our feet and a light to our path. Dear Lord, we pray that as we walk this pathway of life, we will always be guided by Your Word, which is indeed a lamp unto our feet. Help us lead others to the light. In Jesus’ Name, Amen. 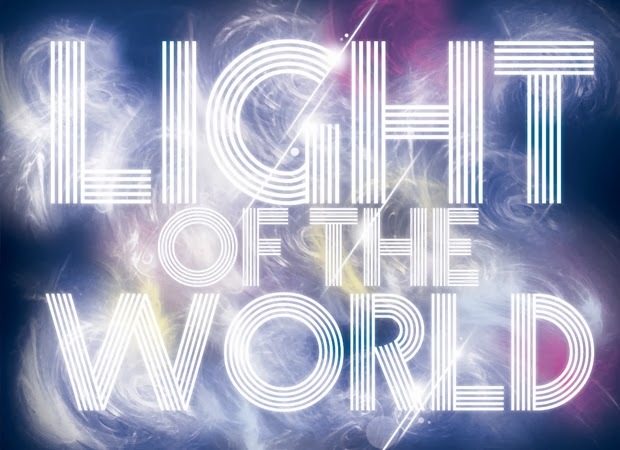 Jesus telling His followers they're the "light of the world" is no small thing. As Christians, the times we have to share Christ as our Lord and Savior or, in other words-to be His light to others in this world-actually occur fairly often. Unfortunately, we often dismiss or sidestep these chances as we carry on with our busy and important lives. Sometimes, however, we may find ourselves in a place where we would never have imagined sharing the Gospel with others. Such was the case of Nury Escobar de Milian of Guatemala, a Sunday school teacher who has been sharing the Good News with students for more than 25 years. Some years ago Escobar de Milian was kidnapped and held captive for five days in the jungles of Central America. When she was abducted she had one book in her possession-her Bible. That proved to be a blessing for her and those among whom she was held hostage. With it she read to the children of the women who were taking care of her doing this trying ordeal. What a wonderful time and place to apply all those years of teaching Sunday school! Some months later following her release, Escobar de Milian learned that missionaries were not allowed to come into those jungle communities or they would be threatened with death. Although outwardly her situation had the uneasy possibility of becoming a terrible experience, God gave her the strength to share the light of the Gospel with her captors. As Jesus is the light of the world, so are we called to carry that light to those places where others need to see it. That may be at your neighborhood farmers market, while watching your kids play soccer or, as in the case of one Guatemalan Sunday school teacher, while held captive in a jungle. The message of Jesus' life, death, and resurrection transcends cultural barriers and has the power to transform any life. What a great privilege we have of sharing His light with the world! Dear Lord, thank You for giving us the light of the Gospel. Help us to reflect Your light and show Your glory in the different situations of our lives. In Jesus' Name. Amen. Are You a Blackout or a Light? 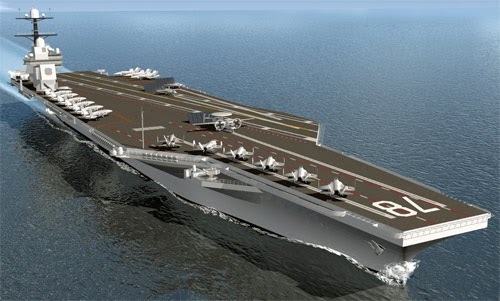 During World War II an aircraft carrier was out in the North Atlantic. Six pilots took off from the carrier to spot enemy submarines. While the pilots were gone, the captain of the ship was forced to issue an alarm. A button was pushed and instantaneously every light on the ship was extinguished. While their mother ship remained in blackout, the pilots started to return. The experienced airmen knew their ship was down there. Yes, she was down there somewhere; they just didn't know her exact location. They radioed the ship: "Give us light, we're coming home." The radio operator on the ship radioed back: "The order is for a blackout. We can't give you more light." Another pilot picked up his microphone and said, 'Just give us some light and we can make it." To his request the radio operator said, "No light - blackout." A third pilot went on his radio and begged, "Look buddy, all we need is one light. Give us just one light, and we can try to land." The operator could do no more. With great reluctance he reached over, turned the switch and broke radio contact. Six aviators, the pride of their families, hometowns, and country went down in the cold north Atlantic Ocean and into eternity. There is a point to this terribly tragic story. It should be noted that those aviators were highly trained flyers. Even more they were good men trying to do the right thing. This they did by following orders and fighting for a noble purpose. But, no matter how good they were, how trained they were, how noble they were, without that light they were lost. It is no different for the rest of humanity. … they are still damned. Which is why those who are saved need to give thanks for the Light… and those who are still lost need to see just how much they need the salvation-light which Jesus gives. Which is why we pray that God will grant such a thing happen for these millions before they go down, die, and enter eternity. Dear Lord, we pray that others may be brought to the Light, be washed of their sins and be brought safely into heaven. May we do all we can to reflect Your Light to others. In Jesus’ Name, Amen. They had faith. At least we hope so, for they were a company of Benedictine monks in a monastery on Pointe St-Mathieu, France, established in the 6th century. They brought hope. At least they did for the many sailors navigating close to where these monks were located. You see, although automated lighthouses did not exist in those days, the maritime dangers certainly did. 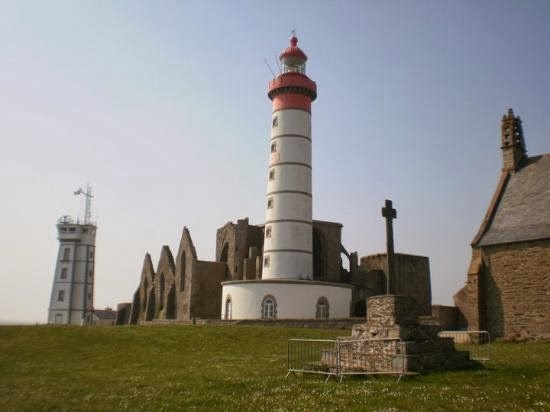 Especially around la Pointe St-Mathieu, which was littered with shallow reefs and was known to be a real terror for any sailors nearby. At nightfall the monks living in that windswept abbey would light a fire at the top of the church tower. That light helped sailors navigate safely. Without that fire, the sailors would have been hopeless! The monks also had love. They must have! For why else would they have taken such precautions to help sailors they had never met! The monks are now gone, the abbey lies in ruins, and a real lighthouse, built in 1835, currently warns sailors of hidden dangers. Even the mighty church that once stood on the sight has been destroyed. But the legend of the love of these monks remains. If it wasn't for love, there would be no hope and no real faith. Love after all, is what motivated the Most High to send His own Son to be ridiculed and mocked, and then to die on a cross. But nothing can truly eliminate pure love, and the grave couldn't hold Him. Jesus rose from that grave, and His resurrection assures us that we are truly loved by the Most High Himself. He paid the price for our sins, giving us, all at once, faith, hope and love. Although it was us who wandered away from God, God didn't want us lost for eternity. He bridged the gap that separated us from Him, the gap that had been created by our own selfish interests. Reconciled, we now can enjoy the full extent of what faith, hope and love means. When that same love is bestowed on us, it fills us with adrenaline, driving us to love genuinely, just like God loves each one of us. We can't help but reach out towards those in need, towards the hopeless, towards those needing mercy. We can't help but embrace them with love from above and let them know that everything will be all right. The Most High loves them! He truly does! Love drives us to step out of our comfort zone. Love motivates us to be like Jesus and reach the unreachable. After all, our Dad is the One who demonstrated what real love meant, and once touched by it, we can't remain indifferent. If we do, then we haven't truly grasped what His love truly means! God's love drives us to the most intriguing adventures of faith, hope and love. It energizes us to bring that light into the darkest places, even to the very gates of hell! Let's all shine, just like we were destined to do. God's love is what makes us shine, causing us to bring forth the necessary love that the world hungers for. A love based on faith. A love founded on hope. A love from God above. Dear Lord, we thank You for the Love You showed. We pray today that Your love would show through us as a bright light, In Jesus’ Name, Amen. Fireflies…commonly known as lightning bugs, are in the family of winged beetles and are known for their use of bioluminescence to attract mates or prey. I remember as a young boy going to visit my grandma. One of the highlights was the lights flying around in her yard. We would spend many evenings running through the yard scooping up these tiny creatures. 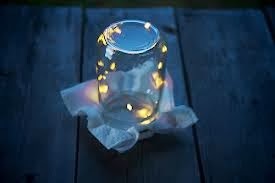 We then placed them in our ready-made mason jars, complete with a few holes in the lid and grass inside. We would bring them inside as an inexpensive nightlight. But if not released shortly, they and their light would die. "You are the light of the world-like a city on a hilltop that cannot be hidden… let your good deeds shine out for all to see, so that everyone will praise your heavenly Father" (Matthew 5: 14, 16 NLT). Any type of light has a purpose: fireplaces provided light, heat, and a place for cooking, oil lamps illuminated dark rooms for reading, street lights gave light for travelers, and electricity made it possible for light to appear with the flip of a switch. Fireflies have a purpose for lighting up, and according to Jesus so do his followers…lighting up the Heavenly Father. While hypocrisy (pretending to be something I'm not), legalism (paying more attention to the letter of the law than the spirit), and inconsistent behavior will cover my light, loving everyone unconditionally, accepting others regardless of their life station, and being hospitable will let it radiate brightly. When it does, others will be attracted to the Christ I serve. Unfortunately, not everyone will be drawn to our lights even when we let them shine effectively. Some will poke fun…and others will question the validity of our beliefs, but we're not responsible for their response…just our light. Let God fuel your light so it shines vibrantly. Dear Lord, just as You have shone brightly for us on the cross, may our lights for You show so others will be drawn to Your love. In Jesus’ name, Amen. Sin has come; suffering as well. But the Savior has also come. His entire life was filled with suffering -- suffering which He bore for us, suffering which made Him one of us, suffering He endured so our punishment might be removed. In the early part of the 1900s, outside a brick tenement in New York City, a boy dressed in ragged clothes was seen with a small piece of broken mirror in his hand. Holding that mirror high above his head, the boy moved it slowly back and forth so it reflected on the building above. 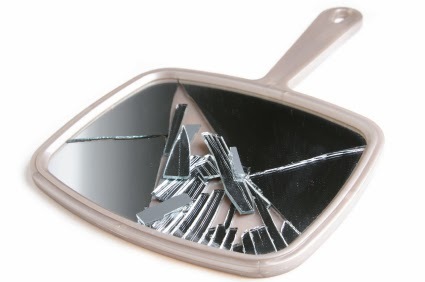 A policeman slowly approached, watched for a while and finally said, "Lad, what are you doing with that mirror?" A bystander suggested, "Like most boys in this neighborhood, he's probably up to no good." The boy gave a dirty glance to the man who made the uncalled-for comment, and then he answered the officer: "Do ya see that window up there? Well, I have a liddle brudder whose in that room on that floor. He's a crippled and can't move aroun'. The only sunlight he ever sees is what I shines up ta him with this mirrer." That, my friends, is what Jesus has done to us in our suffering. Our divine Brother came into this world to live for us, to die for us, to rise for us. Now, He who is light shines that light into our lives. He brings light to us who are crippled by sin and suffering. Why do we suffer? I do not know. But I do know this, that Jesus Christ, the Light of the world will help you carry it, conquer it, cast it aside, or endure it. That may not be the answer you want, but it is God's answer, and it is an answer birthed in love and proven on the cross and at the open and empty tomb. 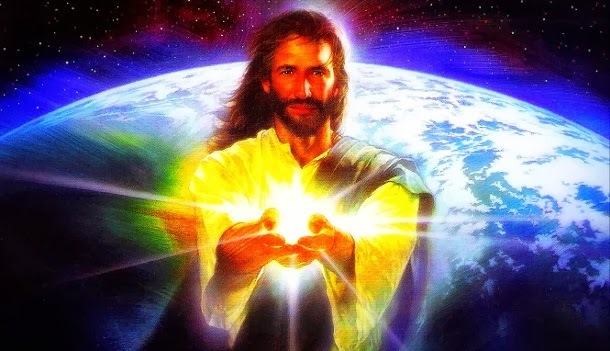 Jesus, the Light of the world comes to you, this day. Today why not place your cares upon Him. Be confident that no pain or problem, no sadness or sorrow is so big He cannot heft it and help you. I can make this promise because Scripture has assured us of its truth: the darkness of sin, devil and death cannot conquer the light which Jesus has brought. Dear Lord, all around us we see anger, hate, prejudice, discrimination, selfishness and a host of other sins. Thank You for being the Light that transforms transgression's darkness into lightness and hope. In Jesus' Name. Amen. My wife loves to do jigsaw puzzles so a few years back I built her a jigsaw puzzle table complete with slide our shelves to help sort the pieces. She can spend many enjoyable hours placing those many pieces together to form a picture. As she opens the box you can see a guarantee that says all the pieces are in the box… no need to worry if any were missing. She first dumps the contents of the box on the table and is ready for the fun to begin! First came the corner pieces- a snap to find. Then the border was placed together…no problem- straight edges were easy to fit together. Next I had to sort by color, and the process became more complex. As the process unfolds she glances at the picture on the box cover showing what the finished project will look like. Some pieces fit easily together, but others did not. Sometimes she tries to jam one puzzle piece into another.. just knowing it was the one that belonged there... but then realizing it was in the wrong place. There was no fit. She worked for a long time on her puzzle, with some help from family members. Sometimes the progress was fast and other times it was very slow. Sometimes long breaks were taken after all life doesn’t just stop for the puzzle. Sometimes she or another family member would be drawn to the table and look at the progress, and take a moment or maybe much longer, to fit a piece or two into place. The picture began to become clear… and finally it was time to put that last piece into place. 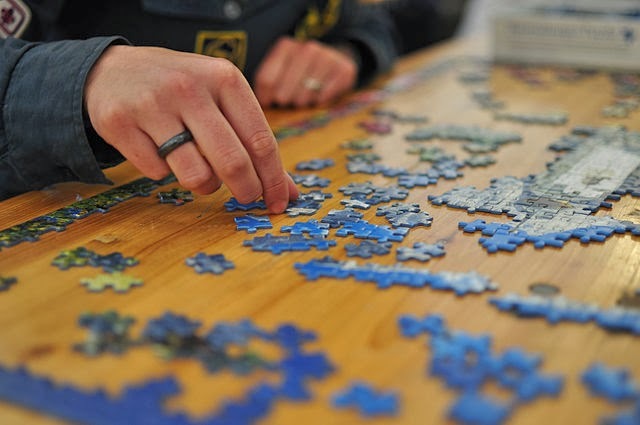 How everybody enjoyed the completed work..
People are like the pieces of a jigsaw puzzle in a box. When we arrive, all the components for our entire life are wrapped up in the package of our little bodies. Some of the pieces of life will fall easily into place - like the corners and borders of the puzzle. Other pieces will not fit too easily.. we may have to struggle to find the proper way for them to fit. Sometimes we even try to jam pieces of our life together, trying to make them fit the way WE think they should. But God had the master plan of our lives all in that box before we were ever dumped into the world. He knew us even as we were in our mother's womb, and He knew what the finished picture of our life would look like. He never takes His eyes off us, and He lovingly takes the pieces of our lives and fits them into place. The grand finale is when that last piece is put into place… that is when we have gone home to be with the Lord, and we are completed. The earthly picture is over, and the spirit is radiating in Jesus’ fullness, having been made whole, beautiful and pure, just like Him. Dear Lord, we pray that You will grant to the people of our nation the will to do good, to flee from evil, and to practice all righteousness, making us respectful of life and sharers of Your blessings, caring for one another in mercy and truth. In Jesus’ Name, Amen. On this Saturday afternoon I find myself laying on the couch resting as my director ordered. I was doing some reading and came across a story that I thought is a great reminder to each of us. One summer's day, a man and his family were driving through a mining region. Their trip was interrupted when they noticed a large number of mules out in an open field. Stopping in curiosity, they asked about this unusual sight. The family was told the work animals had been brought up from the dark mine passages below to preserve their eyesight. The company had found that unless the mules were regularly exposed to the sunlight, they would eventually go blind. I imagine the same could be said for humans, not that most people are kept underground for years at a time. No, I'm saying people need regular exposure to the love and light of God. Without seeing the hope God can provide, we can easily get used to the darkness of this world. Our minds start to believe there is no hope, no love, no joy, and no goodness. Our souls are soon brought down by the darkness that is so much a part of the news. No, we need to see Jesus, the Light of God. We need to see the light of His love, His sacrifice, and the joy of His salvation. And we need it regularly. If you haven't seen it lately, it's time to take a look. God doesn't want you to go blind. This is why God will be looking forward to seeing you at worship this weekend. Dear Lord, we thank You for the light that You have provided for each of us. Help us share that light with those around us. We pray that You would bring somebody to us today that we can invite to come to church with us so they can be exposed to the light. In Jesus’ Name, Amen. What is Hang Son Doong? Hang Son Doong is the world's largest cave, located in Quang Binh province, Vietnam. It is found by a local man named Ho Khanh in 1991 and was recently discovered in 2009 by British cavers, led by Howard Limbert. The name "Son Doong" cave means "mountain river cave", It was by river water eroding away the limestone underneath the mountain Where the limestone was weak, the ceiling collapsed creating huge skylights. It is no ordinary hole in the ground. It is a doline, an underground cave or cavern that has broken through to the surface. Water is the agent which, over the centuries, has eroded and undermined the surface substrate progressively until it collapsed, bringing light where there once was only darkness. Apparently, this cave is at least two and a half miles in length -- the biggest discovered so far. It is fascinating! One room is eight hundred feet high and capable of containing a half-mile block of forty-storey buildings! There is a picture of an opening of the cave where there is a massive hole enabling light to shine down on the huge cavity below. Over the years, the floor under the opening has filled up with a jungle of greenery and life. When you see the pictures, you see the contrast between the area in barren darkness and the area open to the sunshine, full of growth and life. 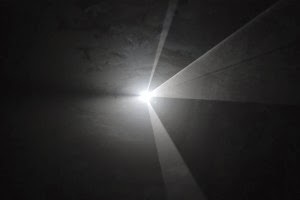 The Bible consistently uses light as a metaphor for the kingdom of God. Before Jesus saved us, we walked in the darkness of our sin. Then the light of Jesus' salvation broke through from above. The influence of God's light should be obvious to those outside of the kingdom, through the abundant life that flourishes within us. The efficacy of the Holy Spirit in those of us who are children of God should be evident. If there is no "light" in us, then something is wrong. As believers, His light is in us! As the followers of Jesus, we live under an open heaven where His light shines down on us and through us to those who are perishing and those whom we are called to serve! 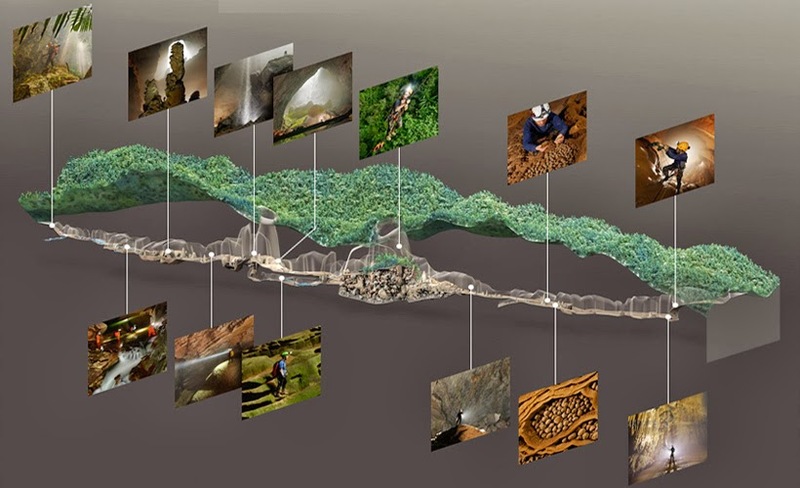 Is not that fact even more exciting than the marvel of Hang Son Doong? Dear Lord, forgive us our sins -- we want to be Your lights. May the joy of our worship and praise wash away the darkness so Your love shines through us. In Jesus’ Name, Amen. Today I had Tarsal Tunnel surgery. As I was preparing for the surgery I was thinking about an appropriate devotion. Since my surgery was on my foot I thought I would focus in the foot in the devotion. One of my favorite people in the Bible for a number of reason is Peter. I thought it would be fun to look at Peter’s feet. 1. At one time Peter had wayward feet, but Andrew brought him to Jesus. 2. And then one night Peter had some wet feet because he was walking on the water. 3. Then he had washed feet when Jesus knelt before him and washed his feet (John 13). 4. He had wandering feet when he denied the Lord. 5. My Favorite is he had willing feet. "How beautiful are the feet of them that preach the gospel of peace" (Rom 10:15). As I come out of surgery my foot will be bandaged and will require a time of healing. I will have plenty of time to think about what kind of feet I have. 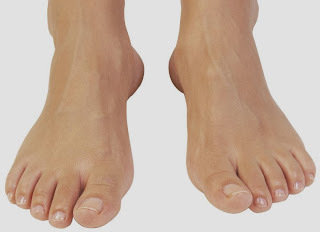 Today I ask you what kind of feet do you have? Dear Lord, we thank You for being the great physician. And for the way You take care of each of us. Today we ask that our feet would be “willing feet”. Help us do the things that You would have for each of us to do. In Jesus’ Name, Amen. A simple light can avert many disasters. Especially if you find yourself alone in utter dark! Many boats have found this to be true. With no light to guide them, many a ship has run aground or been wrecked on hidden reefs. The rugged Canadian west coast is renowned for its many hidden marine dangers. Once Canada was founded as a nation, lighthouses sprang up all along its coastal waters. 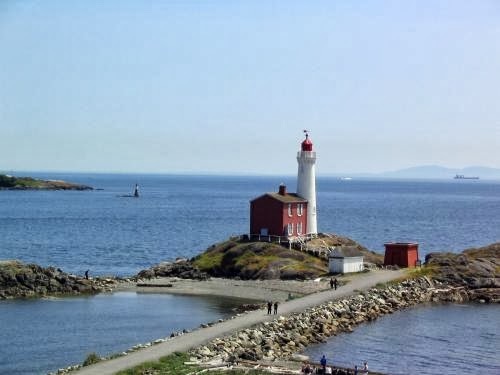 The first permanent lighthouse in the west was the Fisgard Lighthouse, at the narrow entrance to Esquimalt Harbour near Victoria. The lighthouse became operational on November 16, 1860, and although the human element was replaced in 1928 by automatic machinery, it still proudly stands, directing boat traffic to safety. 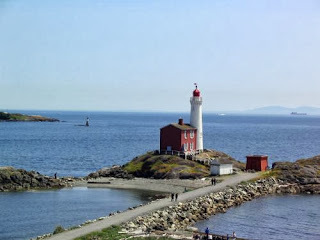 Before the Fisgard Lighthouse was built, entering the Esquimalt Harbour was a perilous undertaking. Collisions occurred even in broad daylight; but with the light in place, accidents are now rare. In nearby waters however, disasters are still common. For example, in April 1943, the captain of the Russian freighter Uzbekistan misidentified a lighbuoy and steered its boat aground near Pachena Point. In November 1891, the upsetting glare of lights from the Victoria harbour on the ocean caused the S.S. Pedro to strike Brotchie Ledge. In May 1910, the Princess May got caught up in heavy fog and ran aground on a concealed reef. And the list could go on and on. Why did these boats encounter disaster? Weren't there lightbuoys to guide them? There sure were, but nothing surpasses the power of a lighthouse, built on a foundation of solid rock! Notice that we are not encouraged to be like lightbuoys, which can prevent some accidents, but to be like Jesus, a Lighthouse that can guide people to real safety! Is your light still shining? Dear Lord, help us to always stay on the rock which is You. Help Your light shine through us so that we can guide the lost world around us. In Jesus’ Name, Amen. Do They See Christ in You? Are You Making the Most Out of Every Opportunity? God Gave His Best, Let us Do the Same.